Lots of kittens BEFORE the majority showed up! Every day seems the same anymore. Either getting ready for a trip to a spay/neuter clinic, the day of one or more trips, caring for the cats before and after and the almost daily trips to the local vet with injuries and health issues for the ferals and fosters and who knows what else! Can’t keep up with paperwork, that’s why you get these blog posts in batches. So much is at a standstill because I’m always taking care of cats, here at my home. We need a building so that more people who are willing to help would have a facility to do that at. The few of us that are the core of Feral Fixers are burnt out. It isn’t compassion fatigue, its caregiver fatigue. We never get a chance to take vacations like other people, all of our activities are centered around what we have to do for the cats that day, that week – and that’s about as far ahead as we can plan. Everyone keeps telling us, if people just knew what you guys do. Perhaps this bit of venting will give some insight. We need a building, we need more volunteers, we need monetary donations to cover the huge number of adoptable kittens that we have been swamped with. Please donate to our Krazy for Kittens fundraiser – the information below certainly shows the need! 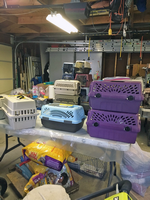 We’ve had to curtail TNR – we had 65 kittens on hand and had to get them neutered in order to get them adopted! We have such a shortage of surgical slots that we cannot resume neutering ferals til at least 8/24 in order to get thru our backlog of kittens. If you look at the chart, we’re doing more adoptables than ferals and unless we can get more surgeries, that will continue to be the case – and we cannot let more litters be born! Help us end our Groundhog Day! 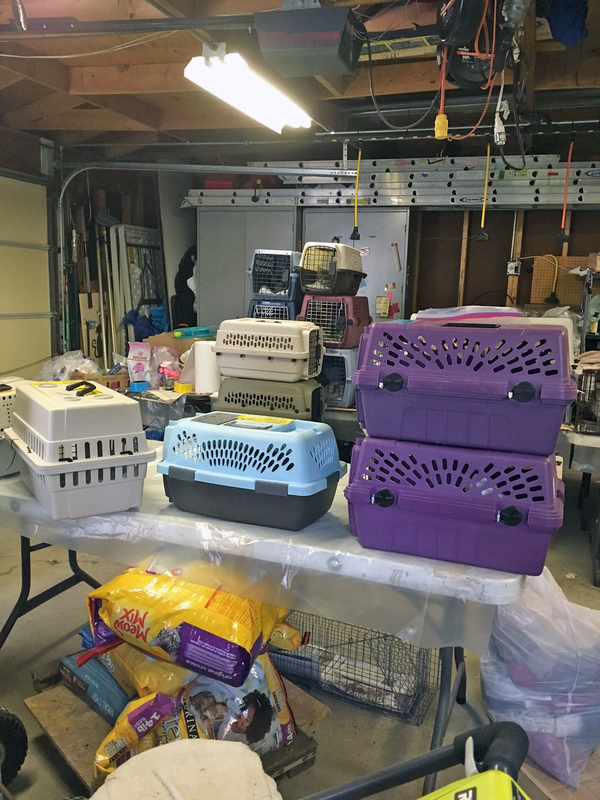 We sent an additional 46 cats in July, bringing July’s total to 115, so far 49 in August which brings our year-to-date to 508 and our grand total to 9,953 since our beginning in 2007. We went to 3 different clinics, sometimes 2 per day, multiple times in a week, once again. Debbie, Charli, Dedra, Laura, Linda, Mark, Judy – all pitched in and transported! Thank you!! !